Vitiligo is a skin disorder does not involve painful symptoms. Vitiligo generally forms as small white dots on the skin at first, which grow to huge patches on several parts of the body after some time. Initially, the vitiligo patches are only slightly paler than the natural skin tone and are not easy to identify, but in later stages, they turn whiter. These white patches can be of any size and shape; they have no fixed morphological characteristics. The main cause of the formation of white patches is the reduction in melanin pigmentation. There are more vitiligo sufferers in India than in other countries. Vitiligo can be treated in many ways, either by medication or by natural methods. 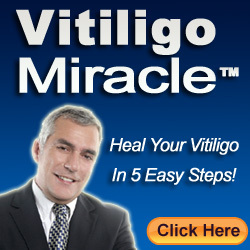 Here, you will find some of the most significant natural methods to cure vitiligo. Ayurveda is the oldest treatment method, which has been proven effective against not just skin disorders but nearly all disorders known to man. Ayurvedic methods for vitiligo are aimed at increasing the stability of the skin, improving skin tone and preventing it from being affected by any further conditions. In finding a cure for vitiligo, an ideal remedy would be one that can increase melanin content. The treatment is done in three phases, and the first phase includes repigmentation. In this phase, a dark brownish patch appears within the white patches. The dark brown spots tend to spread all over the white area and cause the white region to appear to vanish. In the second pattern type, the entire white patch is covered by a dark shade, which grows and covers the entire white coloration. In the third healing phase, the entire white patch turns pale or reddish, which, in the later stages, turn to normal skin tones. These three healing patterns can be different for different people, depending on their melanin content. 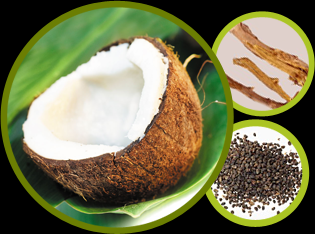 Ayurvedic treatment methods make use of natural herbs that are found to increase melanin pigmentation in people. Copper has been found to support melanin production. There has been proof that a person suffering from vitiligo can be cured by frequently drinking copper-infused water. Making an infusion is not a complicated process as many may think. You just have to store some water in a copper utensil at room temperature. The water inside gets infused with copper particles. This solution stimulates melanocyte production, thereby gradually restoring the skin’s original coloration. Applying sunscreen lotion all over the body where the patches are found is also helpful. The lotion has to have a sun protection factor, or SPF, of over 30. This lotion has to be applied daily without fail. Ensure that the lotion you select is hypoallergenic so as not to cause allergic reactions to your skin, which can trigger other defects. Sunscreen lotions contain titanium dioxide and zinc oxide, which are essential for increasing melanin. You can also observe healthy food habits that can reduce the effects of vitiligo. Eat a lot of celery which contains psoralen. This substance is frequently combined with UV therapy, and has been found more effective and more predictable than steroid treatment.